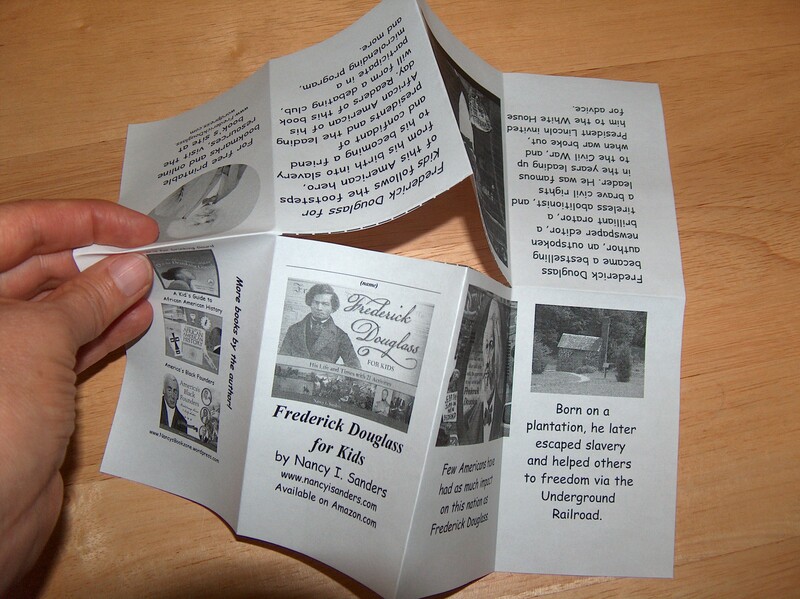 PocketBooks are a type of instant book that I’ve designed. They’re fun to make and fold. Plus, they’re fun to read and write in. And did I mention that they’re fun to carry in a pocket?! For younger students, it’s best to prepare them beforehand either by folding and cutting them yourself, or by asking a parent volunteer to prepare a classroom set for your students to use. Here are the steps to make a PocketBook. Practice making the book on your own first. Soon it will be a snap. 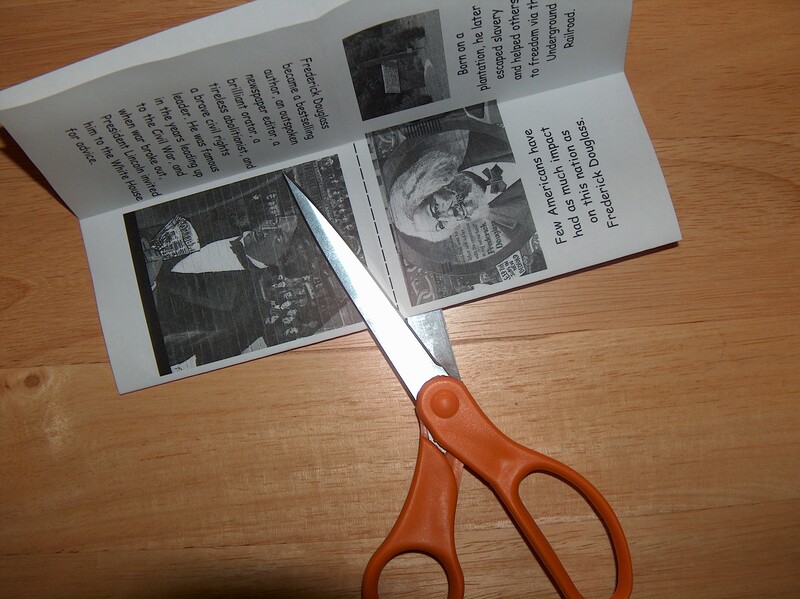 If you have older students, you can demonstrate to them how to fold it on their own. This book is so much fun to make, everyone wants to make it again! 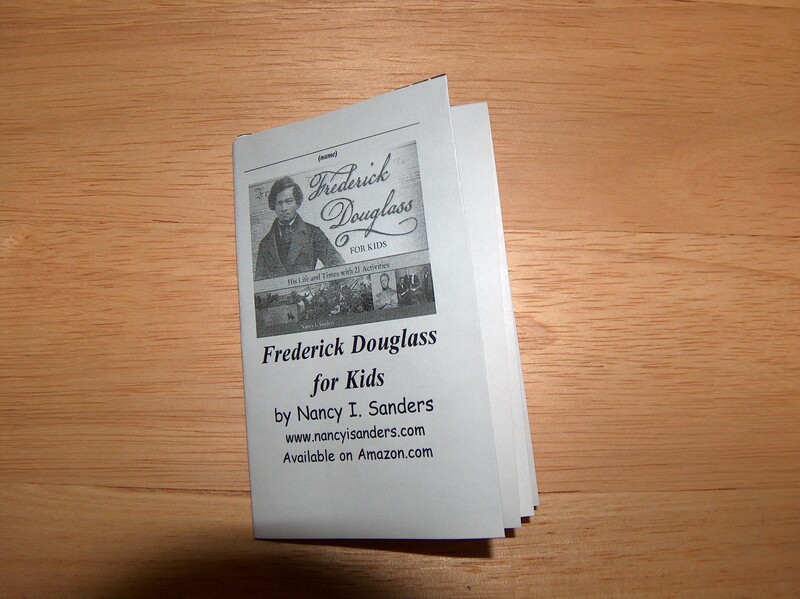 Step 1: Place the paper on a flat surface so that the cover of the book is at the bottom, right side up. 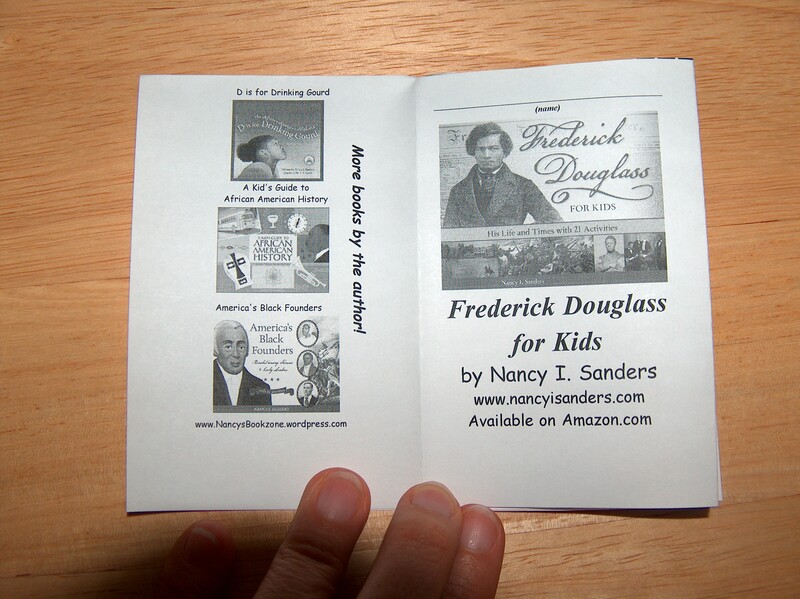 The cover of this particular book is Frederick Douglass for Kids. 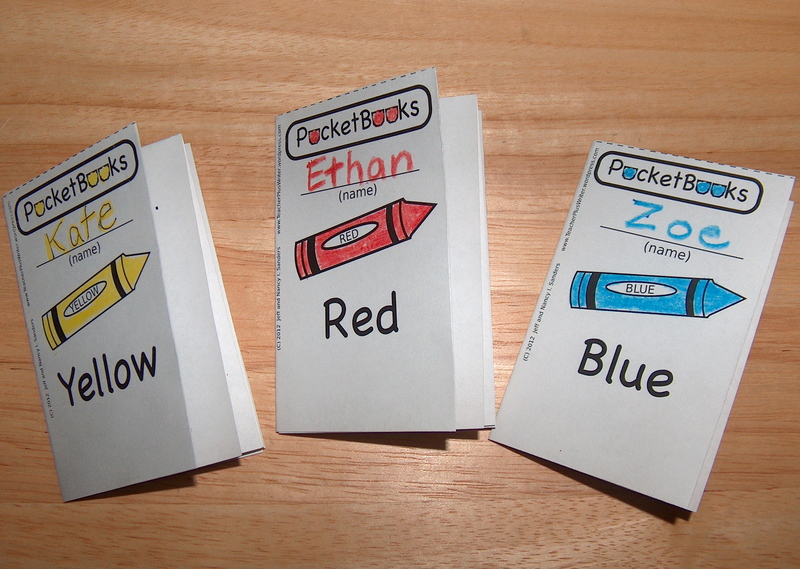 If you’re making a color PocketBook, the cover has the image of the crayon and the name of the color such as Red. Step 2: Fold the top back behind the cover so that it is folded in half along the dashed line. This forms a “hotdog.” Crease the fold firmly. Step 3: Open the paper out flat again. This time fold it in half like a “hamburger” so the cover is facing you. 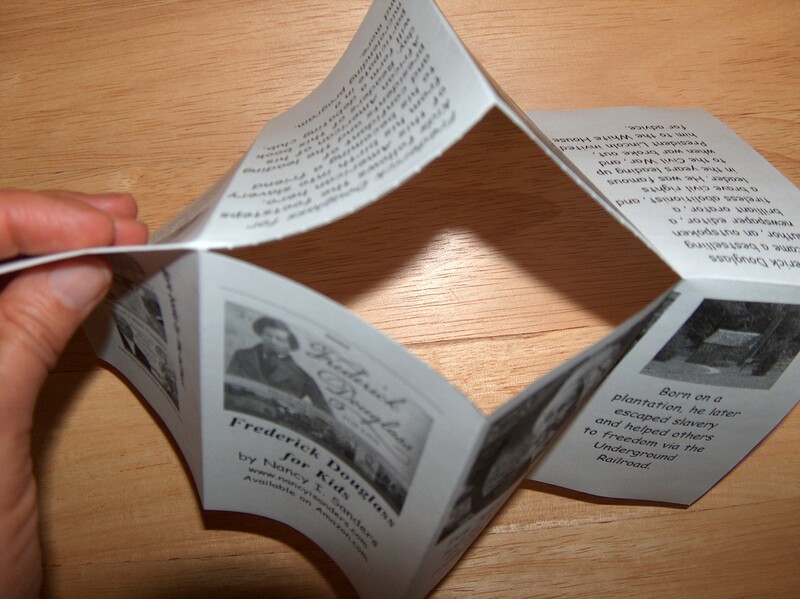 (The fold is along the bottom.) Crease the fold firmly. Step 4: Fold the top edge down behind the front so that the cover is still facing you. Crease the fold firmly. Step 5: Open up partially. Cut the dashed line with the scissors. Step 6: Open up partially to show the opening at the top. Step 7: With the cover facing you, grasp the left edge with your left hand and the right edge with your right hand. 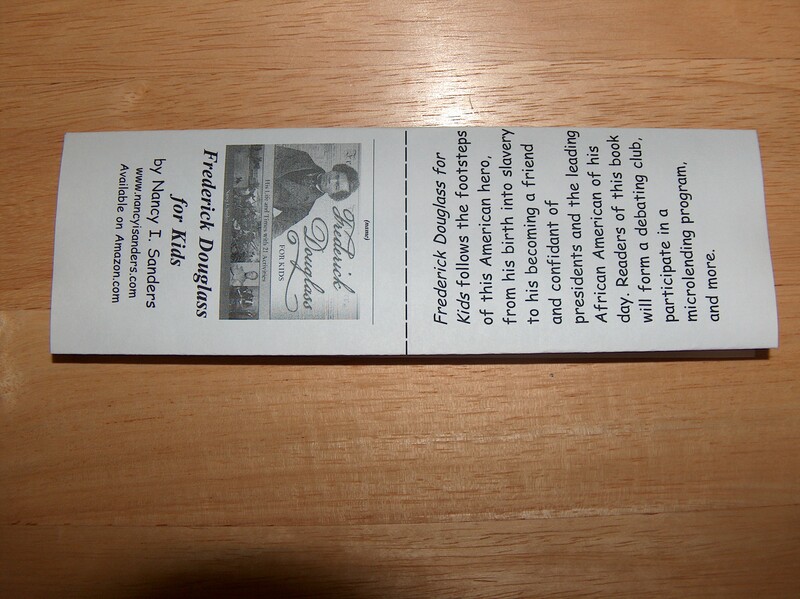 Step 8: Push with your right hand toward the middle so that the pages of the book snap into place. 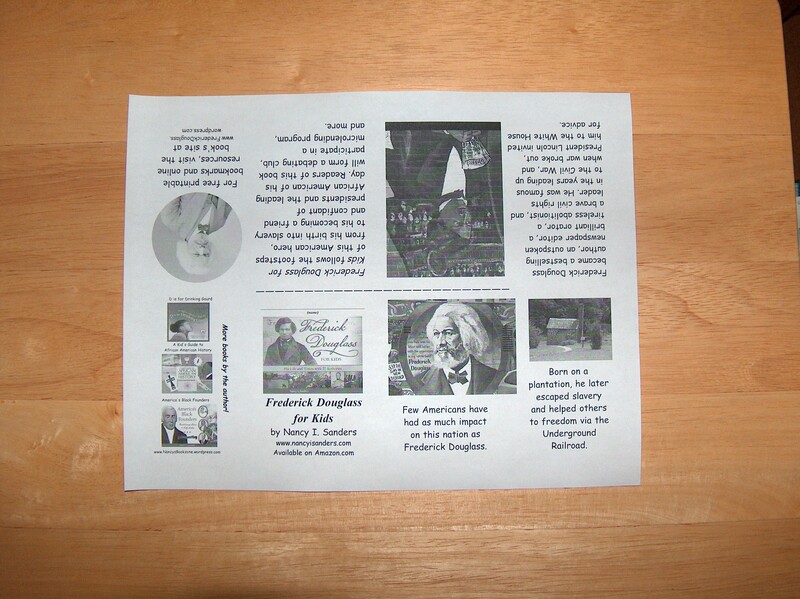 Step 9: You will now have 3 pages of the book on the right side and will be holding the back cover in your left hand. 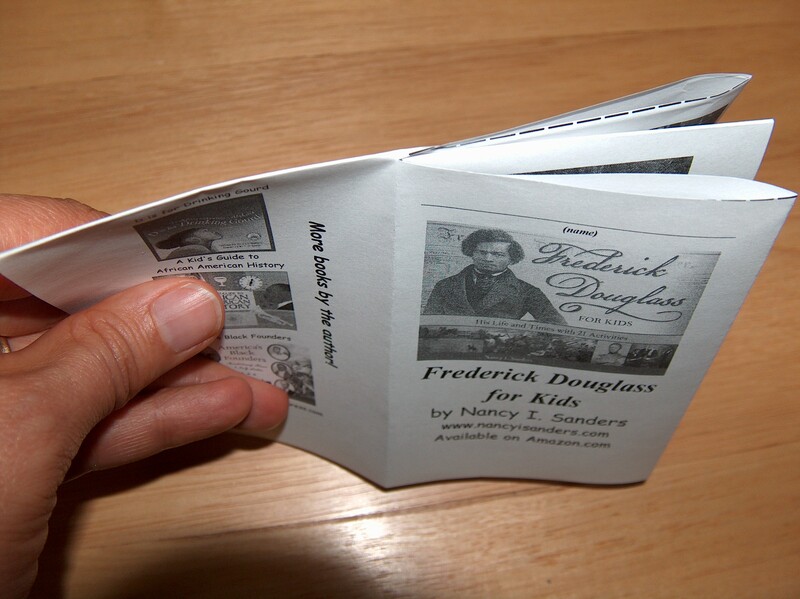 Step 10: This is what the PocketBook looks like before the back cover is folded into place. 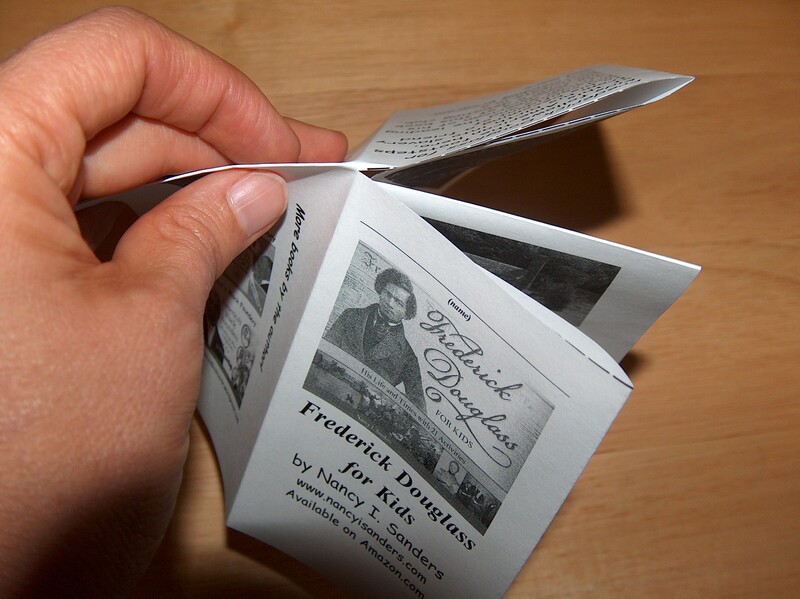 Step 11: Fold the back cover behind the rest of the book so the cover is facing you. 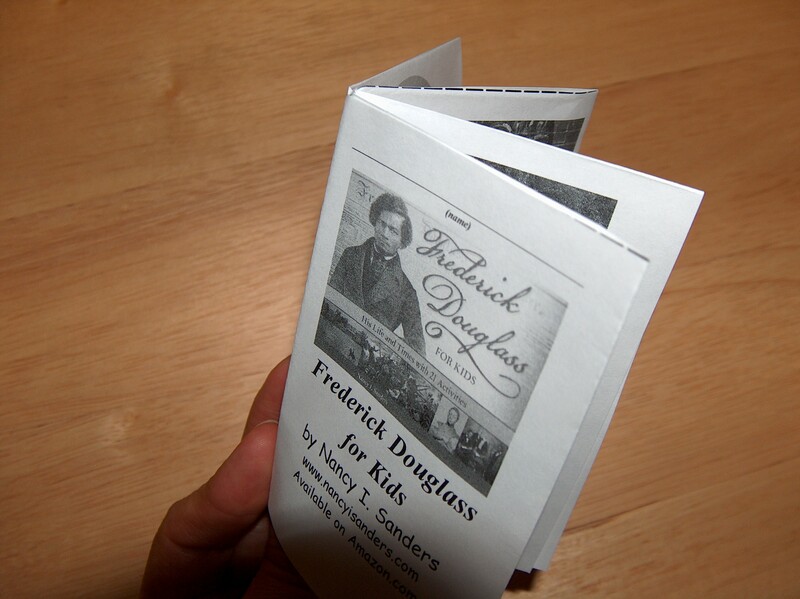 Step 12: Here is the completed PocketBook! Fold all the creases firmly. 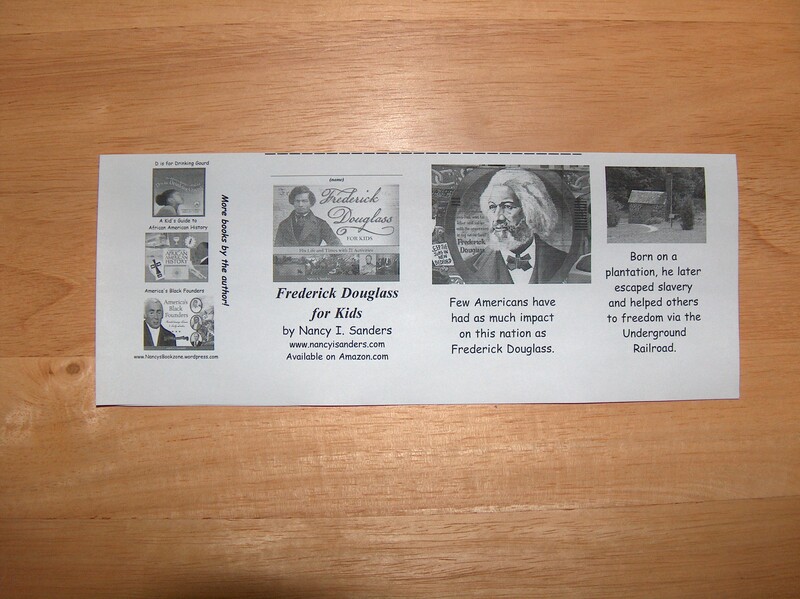 Then share the PocketBook with your students. The learning is about to begin!!!!! 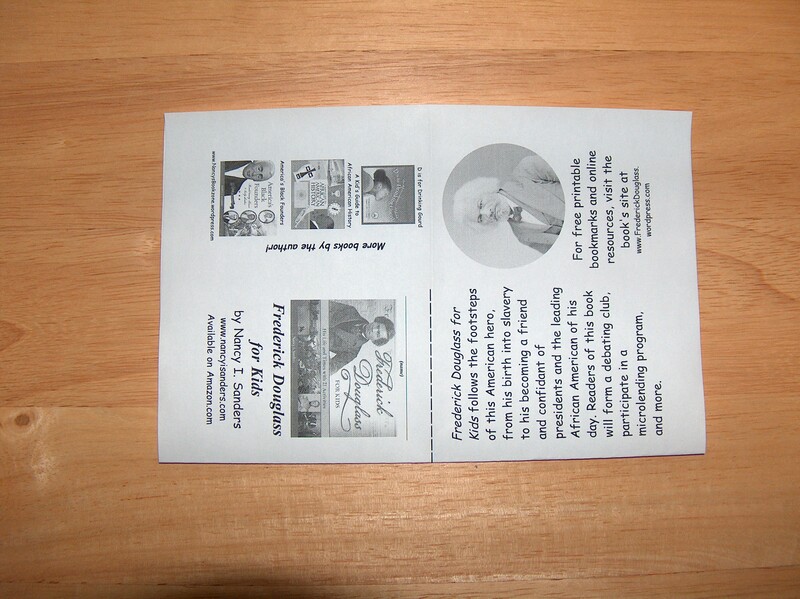 Visit Bookzone for more information about my books.